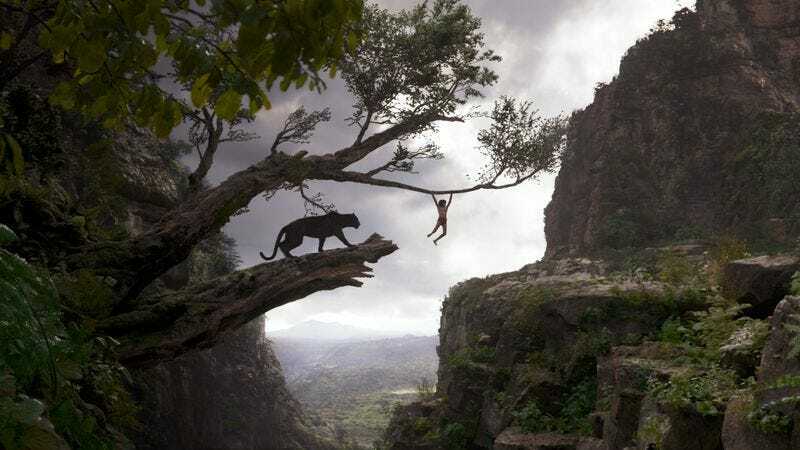 Special effects take pride of place in Jon Favreau’s The Jungle Book, an adaptation of Rudyard Kipling’s Mowgli stories that is as technically accomplished as it is thinly conceived. A paean to the harmony of nature created almost entirely in digital space, without a single real animal, landscape, or tree, Favreau’s fantasy is hampered by a talent-show moppet Mowgli (newcomer Neel Sethi) and by difficulties of translation; produced as a remake of Disney’s popular animated musical, it often struggles to make a place of its own amid the callbacks. (“The Bare Necessities,” the earlier film’s best-known song, gets a tossed-off sequence.) Yet as a display of effects know-how, it has undeniable allure. Talking animals have never looked so good, which is a bigger feat than it sounds. The Jungle Book renders its entire animal cast digitally, including the ones that don’t speak. Its jungle is a complete simulacrum: Everything from the birds to the leaves is artificial, which means that nothing can ever stand out as unreal. The ironic exception is Sethi’s manic Mowgli, mugging on partial sets against blue screen; in a digital world realized by a dream team of effects studios, the one real thing seems fake. Critically, Favreau and his effects artists and cast avoid making the animals too anthropomorphic. The performances often seem intentionally limited, pitched within the reduced expressive ranges of wolves, panthers, and snakes, while the most human-like of the animals—the ape King Louie, original to the Disney version—gets the clipped, off-beat voice of Christopher Walken. As in the earlier Disney version, the story comes mostly from “Mowgli’s Brothers,” the most adapted of the Mowgli fables, with pieces pulled here and there from both volumes of the The Jungle Book. As always, there’s the boy Mowgli, raised by wolves in the wilds of India, and helped by the panther Bagheera (Ben Kingsley) and, later, the sloth bear Baloo (Bill Murray). A drought brings a truce between the predators and prey of the jungle, as well as the returning threat of the Bengal tiger Shere Khan (Idris Elba, speaking in a perpetual roaring snarl), who warns that all humans are dangerous. 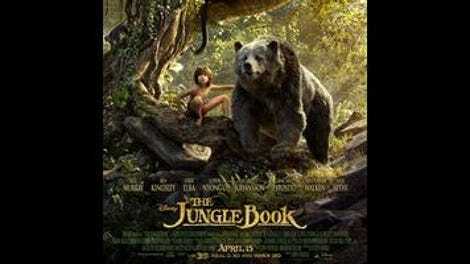 Justin Marks’ screenplay makes the conflict strictly environmentalist (i.e., “Can Mowgli’s human ingenuity help the jungle?”), taking away much of the source material’s potent wistfulness. The Jungle Book doesn’t offer the boy’s origins right away, instead placing them in a hypnotic vision offered by the python Kaa (Scarlett Johansson); as the simulated camera crawls toward Kaa’s eye, it transforms into a cavern opening lit by a torch. It’s one of two imaginatively staged moments in the film, the other being the introduction of King Louie—here reinvented as a gigantopithecus, an extinct giant ape—as a massive hairy hand emerging from the shadows of a ruined temple. If it’s possible to pinpoint the major shortcoming of this Jungle Book, it’s that it’s more impressively realized than imagined. Given the freedom of an almost completely artificial space, Favreau keeps the camerawork, lighting, and editing as realistic as the animal fur. Unlike in, say, Avatar, there are no moments of weightless perspective; perhaps what makes The Jungle Book so convincing—so effective as simulation—is that the camera never defies an audience’s expectations of how a real camera moves, even though it’s not always a real camera, or how real animals look, and even though there are no real animals. The most visually striking sequence is, ironically, the end credits, presented as a series of pop-out book pages. The movie strives for photorealism, showcasing the freedom of technology while curbing all of its expressive potential.